The library has the best collection of books about Sebago we know. Click on the button for a listing of their resources. "The Pike Family of Sebago, Maine: History of a Maine Farmhouse" by Margaret Reece Allen, current owner of the "Old Pike Place." See excerpt. Also available for purchase through the SHS store ($10) or for perusal at the Museum. Sebago Historical Society Annual Calendars (copies of all years, 1997-2016, available for reference purposes). Current year’s calendar available for sale. Other Historical Reference Works: the library maintains a collection of historical reference materials related to the history of other Maine towns, especially those in the Sebago area, such as Hiram, Cornish, Baldwin, Standish, Gorham, Bridgton, etc., as well as of general interest to state history (including the recently published Historical Atlas of Maine). The library also has a subscription to Ancestry.com, the online genealogy service, which can be used free of charge at the library. Farmhouse Journal: Allen Crabtree's blog about renovating the old Meserve Farm on Bridgton Road (circa 1830). 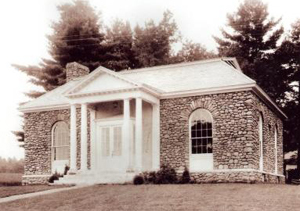 Maine Historical Society in Portland: www.mainehistory.org and its online museum, Maine Memory Network. Cumberland County Registry of Deeds, where you can see property transactions from the earliest days of the town. Findagrave.com, for cemetery records around the world.